A former contestant in the Season 9 of "American Idol" and in Korea's "Superstar K3" was found guilty by a court for fraud and intimidation. Chris Golightly was sentenced to one year in prison suspended for two years in a case filed by his former Korean girlfriend last year. The sentence was handed down by the Seoul Eastern District Court. Golightly borrowed 32 million won (about $28,288) from his girlfriend and never paid it back. He then allegedly sent her a text message saying, "If you sue me, I won't let you get away with it," according to Allkpop. "The defendant lied to the victim to take her money and when she reported him, the defendant threatened her with texts like 'I'm going to reveal your identity [to the public].' This is not a light criminal matter and the defendant has shown no effort and no intention to pay back the victim," Allkpop quoted the court's decision. Golightly can file an appeal with the court. His sentencing came after announcing that he and his Korean girlfriend are having a baby boy. "Hello Korea, Hello America, I am a having a baby boy. We were at the Hospital today. It would be nice for my son to be a singer, but he will decide himself when he is older. Will he be in Korea's Army Ummm 'No.' Will he be American/Korean? Yes ~ Both. Do I love Koreans? Yes. 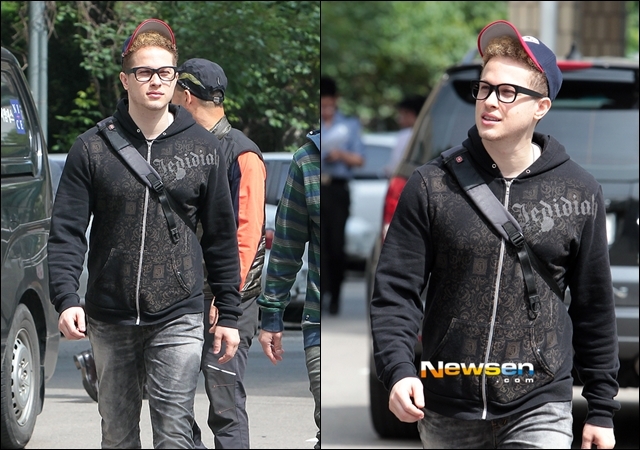 Now I have a son," Golightly posted on his Facebook account, according to Korean media. Golightly was a contestant in the 2010 edition of "American Idol." He was supposed to be in the Top 24 but was disqualified because of his previous recording contract with a boy band in the US. He also became a contestant on Mnet's "Superstar K3" in 2011 where he reached the Top 7. Last year, Golightly was embroiled in a sexual harassment controversy involving his Korean fans. He denied the accusations.